The NORDIC:DOX Award is a selection of the best and brightest in cinema from the Nordic countries. How do you lend a form to migration that for one moment makes it possible to understand the experience of being on the run? The film about 3-year-old Lean and her family’s journey through Europe is a good attempt. 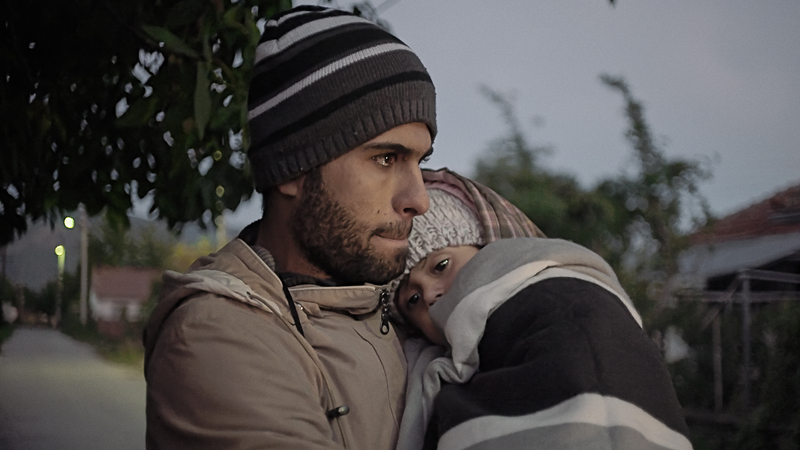 Almost without dialogue and in constant motion, we follow their journey from a refugee camp in Greece to Uppsala, where their relatives are waiting for them. The Norwegian filmmaker Egil Håskjold Larsen has taken a big risk – and it has paid off, with the result being a unique film, which from the very first scene and with a minimum of explanations simply makes us a part of the human stream of bodies towards an initially unknown goal. An intimate and meaningful form, which almost becomes physical, but which is everything else than pure form. Meanwhile, the story of Lean’s family is pieced together in small glimpses, and gives the great humanitarian tragedy of our times a human face – and a child’s perspective of an incomprehensible adult world. Charlie Siem is the perfect modern man. A young, wealthy photo model for Hugo Boss – and even a first violinist with a growing crowd of worldwide fans. But is there also a human being behind the perfectionist? Eva Mulvad follows the young star from the sweet life in Monaco to his lonely spot in the limelight, but is also present behind the scenes when doubt creeps in on him. For perfectionism has a price, and it is expensive. Partners and close friends are the only luxury you can’t afford when your sights are set on the stars. But what else could you wish for when you already have everything? Eva Mulvad follows her award-winning succeses like ‘The Good Life’ and ‘Enemies of Happiness’ with a film that master the delicate balance of providing a profoundly human insight into the nuances of a unique mind and an undeniable talent. 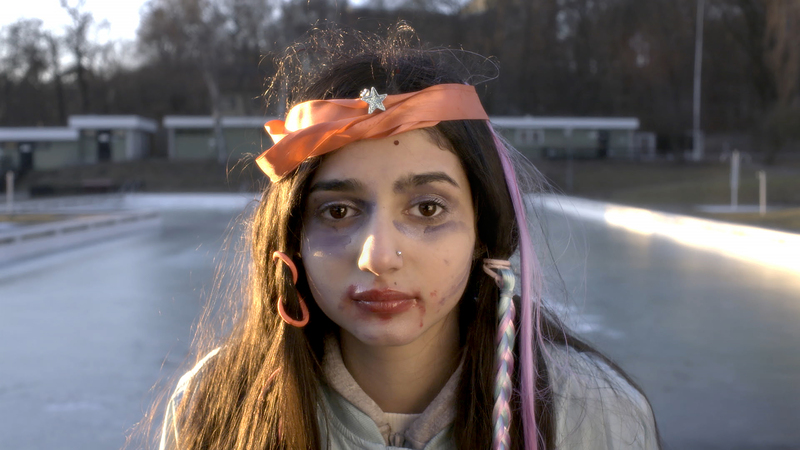 The great Norwegian documentary filmmaker Margreth Olin has spent one year in a kindergarten where the children are allowed to be themselves on nothing but their own terms – and without having to live up to learning results and other dictates. But why is a natural childhood the exception rather than the rule in the school system? There are plenty of questions you will ask yourself in Olin’s sensual and poetic film, which sets the stage for a major debate, but which itself translates policy into practice. ‘Childhood’ looks at the world around the small forest kindergarten from the children’s own perspective. They document the changing of the seasons, the quarrels and friendships among the children, and the teachers’ own understanding of their work. Intimate presence can not be turned into a formula, but Olin still registers with a sensitive and focused camera how the small yet big world in and around the kindergarten gives rise to countless nuances. Life is not easy in the predominantly black South Central Los Angeles. At least not when you have just been released after 24 years in prison and barely know what the internet (or Starbucks) is, or if you are a young mother in a neighbourhood controlled by gangs and all you can write on your CV is pusher. But there is still hope in the inhabitants’ words of wisdom and human warmth. Camilla Magid’s attentive film from the exposed neighbourhoods is rich in both of these qualities, and in the particular kind of humanity that characterises a really good documentary. ‘Land of the Free’ takes the American motto seriously, and reveals a will to take matters into ones own hands in a tarnished environment at a critical moment in history, when the Black Lives Matter movement and Trump are fighting an unequal but fierce battle to define the terms of how the other half of society should live their lives. A point that Magid stresses by insisting on imagery that is both cinematic and caring. ‘Lida’ is a portrait of the small people in history. 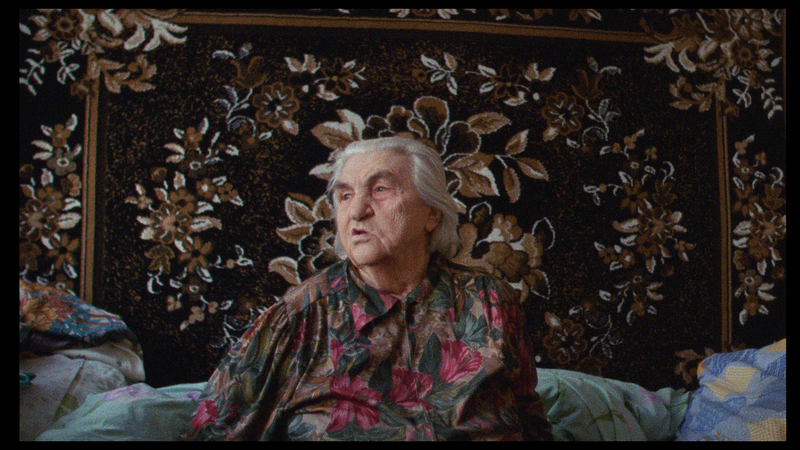 Lida herself is an 81-year-old woman – a true ‘babushka’ – and the last speaker of Old Swedish in a disappearing Swedish colony far out in eastern Ukraine. The Second World War has left deep traces in Lida’s memory and life. But even though she lives in a nursing home and hasn’t seen her sister and son for 50 years, she is full of life – and has now fallen in love with a Russian man! A charming, lively and heartwarming story from a village at the end of the world, where life continues its strange course, even though time has stood still. Anna Eborn mixes 8mm and video with an impressionistic lightness in her depiction of the person and the place, and with ‘Lida’ she concludes many years of work with both. Michael and his mother are ready to go on a road trip around Denmark and Germany. Both to seek out the many short stops in the mother’s life journey, and to rediscover each other. Michael has never known his African father, and the skeletons are rattling in the closet. But if you thought you had seen or heard it all before, then you are in for a surprise. The both flamboyant and sensitive Michael turns up on the day of the departure painted in blue. As in completely blue, from top to toe. His mother, who according to her own accounts has gypsy blood in her veins and has lived in almost 40 towns in Denmark, both with and without Michael, is more into pink, and has painted an old camper van completely in pink for the trip. She has mapped out the route, and the result is a documentary adventure full of surprises and random but oddly meaningful encounters with old friends and sympathetic strangers, who all give mother and son something they missed. Cecilie Debell has created a touching, funny and almost startlingly lively family story, where imagination has the first and last word. And a cinematic letter about tolerance in a time that desperately needs it. Imagine climbing up to the top of the antenna of a skyscraper and standing several hundred meters above the ground – without a parachute. This is what a group of death-defying Russian ‘roofers’ do in a quest for an adrenaline rush, wild selfies and a new away to express themselves in protest against an authoritarian society. The group is headed by a young woman who, armed with a GoPro camera, takes us up to the very top. And you are guaranteed to break out in a sweat and hold your breath when she remotely controls her drone camera from the top of a crane several hundred meters above the ground. The phenomenon is known as ‘roofing’ and ‘urban exploring’, and is taking the world by storm, driven by YouTube and Instagram. But even though the youths in the conflict-ridden Russian society themselves choose to confront fear through their actions, the realities further down don’t just diesappear. Anita Mathal Hopland and Jens Lengerke’s film is a dizzying report from the front of a youth rebellion driven by adrenaline. An encounter with a friend whom she hasn’t seen for 10 years makes Sophie Vukovic ask a deeply personal, but eternally political question – and give her own strong version of an answer. For who are you really, if you can’t answer where you are from in one word? Based on her upbringing as the daughter of parents who together with countless refugees and vague memories in their luggage moved to Sweden – after a life in both the Balkans, China and Australia – in the 1990s, ‘Shapeshifters’ is a both raw and sensitive film told in first person about choosing ones own identity – and about having the courage to defend it. Friendship, family ties and home movies on VHS, together with her and her friends’ home-made music videos to minimalist tech soundtracks, let her inner life unfold into telling imagery. And unlike most other stories about immigration and cultural identity, ‘Shapeshifters’ actually manages to reach a conclusion. A manifesto you should allow yourself to experience. The director Ida Grøn has always been close to her grandparents, but there are indications that her grandfather Otto was not just the respected dentist and resistance fighter she always thought he was. There are suggestions that he worked as an agent for the CIA during the cold war, in a secret European network. Otto denies everything – but why did he sleep with a gun under his pillow, and why can Otto and his wife Dagmar not remember key details about their visit to the United States in the 1950s, when they left behind their otherwise thriving dentistry business in Denmark? As Ida talks more and more with the people who knew him, the many details paint a different picture than the one her grandfather presents. A family tale of loyalty and double lives, which reaches from the coasts of north-west Jutland to high-tech laboratories and secret archives, as Ida Grøn seeks for the truth behind her grandfather’s secret war. Five years ago, the Kenyan farmer Kisilu Musya started to document his family, his village and the impact that climate change is having on both. He has filmed floods, droughts and storms at close quarters, but the human cost for his children and wife is also depicted. When Kisulu’s house is destroyed by a storm, the self-taught filmmaker starts a communal farmers’ movement and calls for action against the extreme consequences of the weather. Kisulu makes it far in his struggle – all the way to both Oslo and the high circles of COP21 in Paris – but the further Kisulu gets into the world of global politics, the more resistance, bureaucracy and arrogance he encounters. ‘Thank You for the Rain’ is an inspiring and captivating tale of an indefatigable optimist, who nonetheless tests his limits in the fight for a greener world. A visit to a Japanese hotel that has existed for over one thousand years (!) is just one of many stops on the Swedish director Kristian Petri’s world tour. A journey that is driven by Petri’s fascination for the hotel as a nomadic home and travelling as a state of mind, and which leads him from classic hotels in Europe via some of the world’s most legendary examples to anonymous, modernist non-places. Since the genesis of hotels in the Arab deserts, the hotel has been a temporary home that has attracted everyone from artists and thinkers to eccentric millionaires, and the history of hotels is itself rich in stories that reflect the development of modern life. A life that provides a thought-provoking foundation for Petri’s existentialist cinematic essay. Like-minded people such as Stellan Skarsgård and Åsne Seierstad meet him along the way and share their thoughts in a film that brings a breath of fresh air to the dictum that ‘to travel is to live’. In Haruki Murakami’s novel ‘Kafka on the Beach’, a mysterious man appears, who calls himself Johnnie Walker. Is he modelled on Joni Waka, a Jewish man living in Tokyo, or is it the other way round? The charismatic and talkative Waka is a true chameleon. A self-proclaimed outsider, a compulsive liar, a homosexual and the natural centre of every party. And he comes from an age-old Jewish lineage – as he himself claims. The Swedish artist Magnus Bärtås met Waka 20 years ago, and has since been fascinated by how this professional oddball has cultivated his entire life story as fiction. Joni Waka ignores all social norms – and there are a few of these in Japan – and sees himself as a ‘henna gaijin’, the strangest among strangers. A self-image that launches him into many confrontations and adventures, and he insists on living it out every single moment of his life. And no, not only romantic comedies end with a wedding. Rumor has it that there is something about the African man whom Waka once seduced in Daqar. When their father is sentenced to death, three Chinese siblings – two twin sisters and their little brother – are placed in the orphanage Sun Village, which is for children of imprisoned parents. Nobody wants to have anything to do with children from such a shameful background. And from one day to the next, the three have to learn to fend for themselves together with the other ‘orphaned’ children in the small village. ‘Waiting for the Sun’ is filmed from the children’s own point of view over a period of two years, and Kaspar Astrup Schröder has created a nuanced and sensitive film, where the young lives take shape along the way. The home’s adults do everything in their power to help the children, and friendships are made between the three siblings and their new family of similarly aged children. Even if, contrary to all expectations, their parents were still to be released, the road back to the rest of society would be hard and long. And yet this is what all the children in Sun Village are dreaming of. Check out the nominees in this short trailer made by CPH:DOX’s videocrew DOX:TV. NORDIC:DOX is CPH:DOX’s competition dedicated to the brightest films from the Nordic region. 13 films are nominated in the competition, consisting of 10 World Premieres and three International Premieres.